← Is HMK (Hon Martha Karua) Being Honest In Now Saying She Cannot Work With Raila? A Kenyan activist has moved in court to essentially nullify the government of Kenya’s ratification of the Rome Statute. In reading the court filing, it’s obvious the petitioner is simply being a conduit for forces and agents much larger than him and given the fancy legal arguments put forth in the documents filed, one can also assume this is not the work of a backstreet lawyer clocking in for a day’s worth of work. That being said, it’s worth noting the activist is well within his right as any Kenyan to file a petition like this but it should take the court or the presiding judge in this case, Justice Majanja about 6 minutes to dismiss the petition as not based on any law or facts upon which it can be granted. While a thorough legal analysis of the questions raised by the petitioner is not appropriate or necessary here, oversimplified but analytically accurate answers can be given in response to questions the petitioner has raised elsewhere as the basis for his petition. This is a wrong question to ask because its primary objective is to appeal to emotions but courts and serious jurists hardly ever get swayed by such appeals. The question implies or insinuates that allowing the ICC to try the PEV suspects somehow is ceding away the sovereignty of our people. That’s false because Kenya has already ratified the Rome Statute and is thereby bound by it. 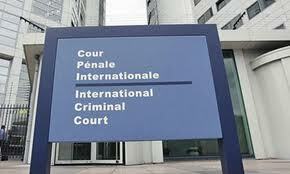 That being the case, the country has not “ceded away” its sovereignty but has given concurrent jurisdiction to the ICC in a scheme under which its sovereignty remains paramount, giving way only where the country fails to do what’s necessary to protect its citizenry from crimes against humanity such as was in this case of the PEV suspects. Article 2(6) preserves ratification of the Rome Statute as it existed under the old constitution. To undo the ratification, one would then have to follow the mandate under Article 255(a). It is not necessary to read Article 2(6) and Article 255(a) together unless you are talking about undoing the ratification or, ratifying a new one. In other words, on this argument, the petitioner has the law upside down. The petitioner then spends a lot of time arguing how a treaty is NOT in the constitution but in the laws of Kenya. (emphasis theirs). This government actually totally undermines and undercuts the petitioner’s other argument because, if as they argue the Rome Statute is not part of the Constitution, then their argument for reading Article 6(2) and Article 255(a) together to require a referendum fails because why would we need a referendum for a law that is NOT in the Constitution? This is exactly what the Executive and Parliament did when the government ratified the Rome Statute on March 15, 2005. There was nothing unconstitutional with ratification of the treaty and neither is there any evidence the treats fails to conform to any part or parts of our Constitution. If the treaty, for example, denied a defendant the right to a fair trial as guaranteed by the Constitution, then that would result in the nullification of the treaty or parts thereof denying such a right, depending on its survivability provisions. Again, there is nothing in the Rome Statute that is contrary to what’s provided in our Constitution and neither was ratification of the treaty itself don in contravention of the Constitution therefore this argument by the petitioner to the contrary must equally be rejected. Courts cannot second guess what the Attorney General advices the government to do or not to do as long as that is not unconstitutional. When the AG advised the government to ratify the Rome Statute in March 2005, nothing in that advise was unconstitutional and certainly the petitioner saying there was doesn’t make it so. The AG’s “personal” failures are only relevant only when one is considering issues related to the AG’s competency to hold office under Chapter 6 and other applicable law. This issue is not in court as it has not been raised anywhere in the petition therefore its puzzling why the petitioner brings up the AG’s person into this. The only relevant issue as to the AG relative to the issues raised in this petition is whether or not the legal advice the AG gave the government was legally sound or not and even if it was not, the courts have no say about that unless the action taken in reliance on the advice was unconstitutional. Again, petitioner cannot and neither can anyone argue that the advice the AG gave the government at the time of ratification of the Rome Statute was unconstitutional therefore petitioner’s argument to the contrary is without factual or legal basis to warrant nullification of the ratification. There is no need to here but I am sure Justice Majanja will lay out in detail other provisions of the Constitution and statutory law that apply in firming up the proposition that petitioner has not stated any basis under the law the courts can nullify Kenya’s ratification of the Rome Statute. Because there is no basis to nullify ratification of the Rome Statute, it therefore follows that the petitioners other argument that ratification of the Rome Statute must be subjected to a referendum also fails and must be rejected on the same basis. Given there is no need to seek re-ratification of the Rome Statute, it’s irrelevant what the people of the Republic of Ireland did or did not do in their own ratification of the Rome Statute, which the petitioner cites to as an example for Kenya to follow. The short answer is, no but this is an irrelevant question because no one is suggesting or can plausibly argue that the Rome Statute amended our constitution because it was our government which amended its constitution in ratifying the Rome Statute. That ratification is valid as noted above. This being the case, all citations and discussion of American laws discussing how a treaty cannot be in violation of the Constitution are irrelevant. Justice Majanja should do the one and only legally correct thing and that is to promptly dismiss this petition, which is raising eyebrows why it’s been filed to begin with but, that’s a debate for another day. In sum, the court should and ought to dismiss this petition for the foregoing reasons and we are confident it shall. Reblogged this on MR BRANDS ONLINE:Views on World Politics, Elections, Grand Coalition Government, Parliament.